Tomorrow starts British Pie Week a great British food week celebrating our love for all things Pie-like. Pies are just about as close to perfect comfort food as you can get. They’re relatively cheap to make and if you’re unsure about making the light puff pastry bit (like I am) why not use the Jus-Rol stuff? My fave pie is a Chicken and Mushroom Pie (with memories of school days and family lunches), or if I ask Bazza I know he’ll say a meaty Beef and Ale Pie …serve up with a generous dollop of mash. Sorted. Why not make the most of the British Pie Week Sheffield events at pubs & restaurants across the city by sampling a new pie or two washed down with a pint of beer/real ale or juice in a series of special menus? 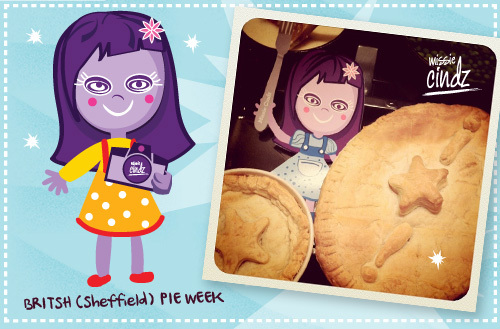 Follow my tweets to find out some pie gem happenings across the UK (especially in Sheffield) – conversation: #missiebritishpieweek – there’s bound to be something to tempt your taste buds during the week. With sweet (apple pie), savoury (chicken and mushroom pie), and pies that are not really pies (Shepherds pie?) there are so many to choose from! Tweet me and let me know what you pub chefs and foody people are up to for British Pie Week – or even better, if you’re like me who enjoy ‘Foods Stalking’ – tweet a picture of your wholesome pies (and menus) over for my Missie eyes – I’d be happy to re-tweet and take a gawp at your delightful offering. Finally “Who ate all the pies?”….We have! 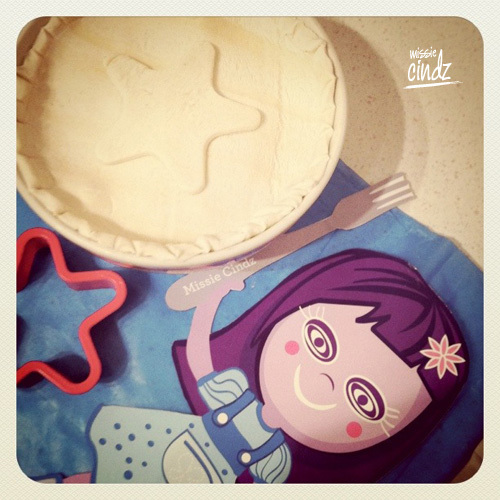 :) – have some delicious pie-tastic fun.